After working in the IT industry for many years Clive moved into full-time photography in 1997.Since that time Clive has established a reputation as one of the leading photographers in the UK, specialising in the use of light and composition. Clive's work has been widely exhibited including Christies and the Mall Galleries in London, in addition to Cardiff's St. David's Hall. He has also completed commissions for a diverse range of clients including Sun Life Assurance, and the Bristol Cancer Help Centre. His first book ‘Clevedon Pier – a celebration of England’s finest pier’ was critically acclaimed, with a foreword by Griff Rhys Jones, and an exciting new Masterclass publication, ‘Finding the Picture’, co-authored with Phil Malpas, has been released in the autumn of 2009. Many magazines and books have featured Clive's work and he currently has a regular ‘column’ in Outdoor Photography magazine. 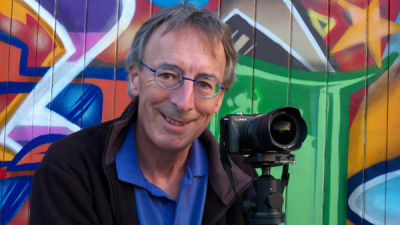 Clive regularly presents his images and photographic techniques to many organisations and societies, including the National Trust. ‘Light & Land’, the foremost photographic holiday organisation in the UK. Clive pursues his photography with a passion. For him it has become a way of life!